“Bridge of Spies” or, The End of a CIA Operation? Division General (retired), former head of Cuban intelligence services. 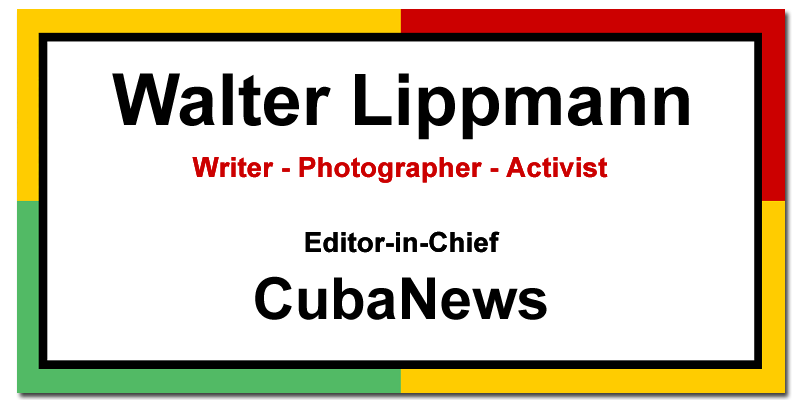 Author of several books on the intelligence services of the US against Cuba and has investigated the assassination of John F. Kennedy from the Cuban viewpoint. Rudolf Abel, James Donovan and Francis Gary Powers. Last year, talented American actor Tom Hanks acted in and produced a Steven Spielberg-directed film called Bridge of Spies, which, by the way, earned one of his supporting actors an Oscar this year in that category. The film tells the story of the capture and exchange of Francis Gary Powers, a US pilot, for the head of the illegal Soviet intelligence network in the United States, Rudolf Abel. He had been operating in that country since 1948, and that he was only caught in 1957 when he was betrayed (something that is omitted from the film) by one of his officers – Reino Heihanen – of Finnish origin, who, after stealing money from the operation, deserted the United States to escape his responsibilities. The real stories of one and the other are quite different. The Soviet was a middle-aged man, fluent in 10 languages, a mathematician and painter with a fine brush, cultured and experienced in the vicissitudes of intelligence. The young American U-2 spy airplane pilot, who appears in the film version as if he was carrying out his first operation, was shot down on Soviet territory on May 1, 1960, the exact day on which President Eisenhower and Premier Khrushchev were to meet in Vienna, Austria, for negotiations on détente and eventual disarmament of the blocs headed by the two countries. The main character in the film attorney James Donovan, played by Tom Hanks. Donovan had been a partner with Allen Dulles, then head of the CIA, in the years of World War II at the OSS Strategic Services Bureau, the first U.S. intelligence formation. Then he was part of his country’s team at the Nuremberg trial, where the then-allies tried the Nazi leaders. Later, without losing his ties to the nascent CIA, Donovan dedicated himself to the practice of law. Years later, he was the lawyer appointed by the Kennedys to negotiate the exchange of the mercenaries of the Bay of Pigs for children’s food and agricultural implements that the blockade – which we still suffer – had made inaccessible to our people. In 1963 the CIA, through him, tried to get a poisoned diving suit to Fidel Castro, which Donovan refused. A few months later he introduced journalist Lisa Howard to conduct an interview with the Cuban leader, in which he would investigate alternatives for the normalization of relations between the two countries. However, the aim of this article is not the explanation, nor even the omissions or distortions of the film, but the reasons why Powers the was captured, precisely on the day when the American and Soviet leaders tried to negotiate for a possible détente in the Cold War. 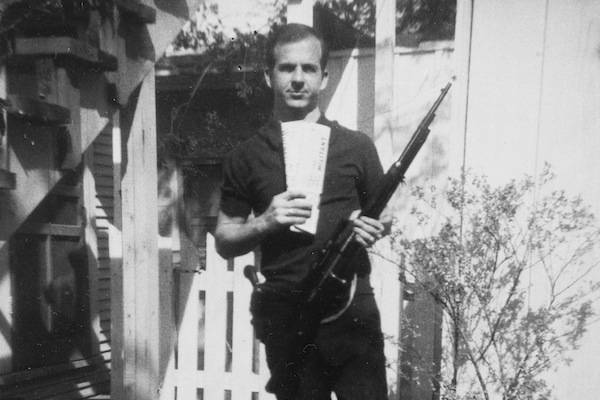 In December 1959, former Marine Lee Harvey Oswald, who was later accused of being the lone assassin of President John F. Kennedy, defected in an unlikely manner into the USSR. There, after a blistering renunciation of his citizenship at the American embassy and a suicide attempt at his hotel, Oswald obtained his residence permit in the city of Minsk, Belarus, where he lived for nearly three years, married a young Soviet citizen and had a daughter. Who Oswald was, and why he deserted, is a question so far unanswered. He joined the Marine Corps in 1958 for military service. According to his service record, he studied Russian at the language school in Monterrey, California. Later, he was transferred to the Atsugi Naval Air Base in Japan, specializing in the operation of radar that operated U-2 aircraft flights through Soviet and Chinese territories for the purpose of photographing weapons sites and military camps. This base was run by the CIA. His activity made him familiar with the flight parameters of these aircraft and enabled him to perfect his Russian. According to some American investigators, during his stay in Japan, Oswald was involved in the CIA’s attempted recruitment of the military attaché of the Soviet embassy in Tokyo, accompanied by another agent. After completing his work assignment in Japan, Oswald returned to the United States to be stationed at the El Toro Base in California. One night he was visited by the well-known CIA agent Gerry Patrick Hemmings, who in that year, 1959, had been in Cuba spying on the nascent Revolutionary Air Force. Together with his colleague Frank Sturgis he was involved in a failed attack on Fidel Castro. The truth is, according to official US research, that the month after the visit, Lee Harvey Oswald applied for leave the following month, citing health problems of his mother, a New Orleans resident. He received it, and, after a fleeting visit to that city, went by boat to England. From there he flew to Finland, the next day by train to Soviet territory. All in record time, something unusual for a tourist. The Soviets questioned him and knew his background, as they recognized him when the Americans asked for information after the crime against JFK. Oswald was the bearer of vital information for the strategic defense of the Soviet armed forces. It consisted of the flight parameters of the U-2 aircraft that had hitherto been unbeatable by anti-aircraft rockets. The terms on which he was granted asylum were never clarified and were, of course, unrelated to his claims to be a convinced marxist-leninist. The usual way in cases where there was no precedent or political persecution was to return him through the same border that he had entered, but the opposite happened. In a very short time, about 30 days, he obtained a residence permit in the Belarus capital and a job in an electronics factory. Oswald probably gave sensitive information to the Soviets to ensure his asylum status. Another element to be taken into account in the analysis of this case is the fact that from, December 1959 to May 1, 1960, the American U2s did not fly through the territory of the USSR. And it was precisely on that day, at a crucial time when Eisenhower and Khrushchev were meeting in search of a way to alleviate the rigors of the Cold War, that Powers’ plane was shot down by Soviet rockets. Why a flight on that date? Was it a provocation? Did they intend to be overthrown by the Soviets – already knowing valuable information about their flight parameters – with the vain intention of having some superiority in the negotiations that were beginning? What was clear was that, a few months after the plane was shot down, Oswald returned to the U.S. consulate in Moscow, where he had previously torn up his U.S. passport, and applied for repatriation. It was approved, including his wife and daughter, and his expenses were paid by the U.S. government. Then his story will continue in the United States. He was linked to the FBI, the CIA and anti-Soviet organizations, his location in Dallas, and finally connected to the Cuban counterrevolutionaries with whom was is going to join in his wishes – a few weeks before Kennedy’s assassination – to travel to Cuba so that his relations with our country would be legalized, his activities all documented in official U.S. investigations. As we know, Oswald was killed on November 24, 1963, by Jack Ruby, a well-known Texas gangster. The investigation into the assassination of President John F. Kennedy was at least informally closed. How many secrets did Oswald know that made him so dangerous? Was he a patsy, as he called himself, when questioned by the police in the first few hours after the crime? How many more years will it take for the U.S. government to declassify all documents from its investigation of the assassination? So, on that Berlin bridge that linked the two sectors – Soviet and American – what was exchanged? A pilot for a colonel who had not betrayed anyone or acknowledged the charges against him and was sentenced to 37 years in prison? Seems unlikely. Perhaps what originated that exchange was the need to recover a potentially explosive witness, who might have known important information about the spy Lee Harvey Oswald a year before the assassination. Finally, Colonel Vilyam Guénrijovich Fischer, alias Rudolf Abel, was decorated with the Red Flag Order in his homeland and died among his own in 1971. He was, without a doubt, one of the heroes of the Cold War, who made it possible with his silent and modest work to provide the USSR with invaluable materials on the defense and offensive capabilities of the United States at that time.